Seaford, Va. – Robert Hudson Hansford died Thursday, April 11, 2019, the son of Horace Hobson and Elsie Crockett Hansford. He was a lifetime resident of Seaford, VA.
Mr. Hansford graduated from Poquoson High School in 1941. 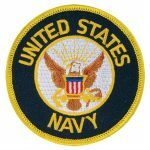 He was a World War II Navy veteran. Following his Navy service, he pursued his love of driving and became employed by G.B. Sparrer, Inc., hauling oysters to Tennessee from 1946 until 1950. In late 1950, he was employed by Fort Eustis, VA, in the Department of Post Engineers, until he transferred to Atomic Energy Commission, Yorktown. In 1973 he retired from Naval Weapons Station, Yorktown. He returned to G.B. Sparrer Inc., as President of the company while continuing to serve as driver from 1973 until 1989, when the company dissolved. During this period he also drove part-time for Newton Motorcoach Company, Gloucester, VA, for approximately 30 years. Mr. Hansford was a lifetime member of Zion United Methodist Church, Seaford, VA. 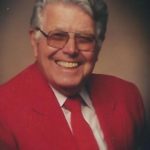 He served many years as a trustee, and was president of the Adult Bible Class. He served as vice-president of the first PTA of Seaford Elementary School. May 9, 2018 represented his 69th year as a member of the Yorktown Masonic Lodge #205. Mr. Hansford was very active in the Job’s Daughters, where he held the position as Associate Guardian of Bethel 39, Yorktown. He later served as Deputy Grand Guardian of the Peninsula Job’s Daughters. His two daughters were active many years, both having served as Honored Queen during his tenure with the Order. Hudson had a special gift of humor and was a person of joy, as he was jolly all the time. He had an enthusiasm for life and lived it with an upbeat, positive outlook. He awoke mornings in a joyful mood, and retired with a happy spirit! His jolly nature and his great, ever-present smile were his trademark. He was a reflection of God’s love. Mr. Hansford is survived by his wife of 47 years, Alice Rose Hansford, originally from Durham, NC; daughters Elsie Lou Henley, Seaford, VA and Lisa Ann Miller, Quinton, VA; sister Jeanette Lawson of Poquoson, VA; a step-daughter and step-son-in-law Laurie Rose and Timothy Marbrey; two nieces Norma Ahner, Seaford; Kathy Skinner; nephew Dr. H.F. Lawson, 7 grandchildren, 10 great-grandchildren, and 4 great-great grandchildren. Our heartfelt thanks is extended graciously to our friends, Millie and Darlene, our Caregivers and to York County Fire Department Station #6. The funeral will be held 2:00 PM Sunday, April 14 in Zion United Methodist Church, Seaford and burial in Peninsula Memorial Park, Newport News, VA. The family will receive friends one hour prior to service. Burial will follow with Masonic Rites in Peninsula Memorial Park. Memorials may be made to The Gideons International, Peninsula North Gideon Group, PO Box 6373, Newport News, VA 23606; the American Bible Society, 1865 Broadway, New York, NY 10023; or the American Heart Association, 4217 Park Place Court, Glen Allen, VA 23060.